Investors are bracing for a series of "down rounds" in China's much-hyped tech sector as weak stock markets worldwide and the country's economic slowdown weigh on the once-buoyant private markets. Falling valuations risk denting investor enthusiasm for future funding rounds - potentially limiting the amounts startups are able to raise. One senior tech-focused dealmaker estimated that targeted valuations had fallen between 20 and 40 percent in China's tech space, over the last three months alone. 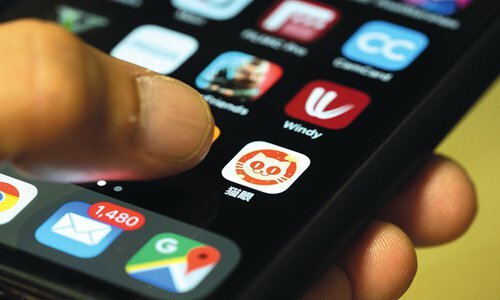 Maoyan Entertainment, China's biggest movie-ticketing platform by sales, became the latest example of weak starts among Chinese tech firms listing in the financial hub, as the Hong Kong initial public offering of the group, backed by Tencent Holdings Ltd, valued the company at $2.16 billion - more than a quarter less than the valuation reached in its last 2017 funding round. Maoyan Entertainment fell 1.1 percent in its Hong Kong stock debut last week. Shares in Maoyan Entertainment opened at HK$14.82 ($1.89), barely higher than the initial public offering (IPO) price of HK$14.8, which was already at the bottom end of the indicative range. Shares then fell to as low as HK$14, a warning sign for other Chinese tech companies that may be eyeing IPOs after achieving lofty valuations in private funding rounds. The stock closed at HK$14.64. Maoyan's revenue almost doubled in the first nine months of 2018 to 3.1 billion yuan ($459.76 million), the prospectus showed. It has yet to turn in a net profit, but its loss narrowed to 144 million yuan over the same period from 152.1 million yuan a year earlier. Valuations of some sizeable unicorns - startups with at least a billion-dollar valuation - have also been dropping in the more opaque market of private secondary trading, where investors trade their holdings in unlisted companies. Stakes in China's ride-hailing champion Didi Chuxing have most recently traded at prices implying a valuation of $40-44 billion, according to Moncef Heddad, managing partner and head of Asia at securities brokerage firm Rainmaker Asia Holdings. Didi's valuation previously exceeded $65 billion after its 2018 funding round, according to two sources familiar with the company. The privately held firm was valued at $56 billion after a 2017 fundraising. "Most people pay for forward-looking valuations assuming that growth will only go in one direction, but when the economy is having a downturn, these forward-looking valuations are not going to be sustainable and need to adjust and correct," said Hong Kong-based Heddad. 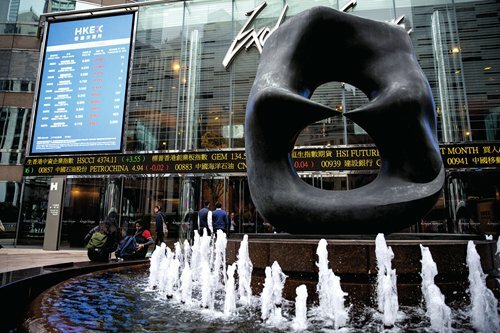 Companies expected to seek funding in public or private markets this year include Beijing Bytedance Technology Co, owner of leading news aggregator Jinri Toutiao; artificial intelligence firms Megvii and SenseTime; and coffee startup Luckin, sources have told Reuters. Bytedance, SenseTime and Luckin declined to comment. Megvii didn't respond to a request for comment. Other companies have had to lower their target valuations in recent funding rounds, including Ping An-backed financial technology company Lufax, which closed its latest funding effort in December at a valuation of $38 billion versus a target of $40 billion. Tech investors in China have, for the last few years, enjoyed soaring valuations and a far-faster pace of unicorn creation compared with other markets, including the US. But Hong Kong's IPO markets in 2018 began to dampen the dizzying optimism as a string of hotly anticipated floats, including smartphone maker Xiaomi, priced toward the bottom end of their indicated ranges - and then fell further upon trading. Xiaomi's July IPO valued the firm at about $54 billion, or just over half the $100 billion that industry insiders had touted early in the year. Its current market cap, at around $33 billion, is also below the $46 billion valuation it reached in its last pre-IPO fundraising in 2014. "I think it's healthy," said Joe Tsai, co-founder of Alibaba Group when asked about the effect of such "down rounds" at a Reuters BreakingViews event in Hong Kong last week. "The public markets have already reflected the 'down round'... and I expect to see that happen in the next 6-9 months in the private markets." "I think the entrepreneurs had it too easy by being able to raise gigantic billion dollar levels of capital at multi billion dollars of valuation. It's just distorted," he said. Alibaba affiliate Ant Financial was one beneficiary of the funding boom. Last year it raised $14 billion in the world's largest single fundraising by a private company - a deal that also made the payments operator the world's largest unicorn with a valuation of $150 billion. But even IPOs backed by Alibaba have since felt the chill: Babytree Group, a parenting website operator backed by the e-commerce giant, was valued at $1.5 billion in its $217 million November IPO in Hong Kong - down from a $2 billion valuation when Alibaba invested last May. Investors concerned by the outlook have increasingly begun to demand "down round" protection clauses in fundraising agreements, industry sources said. These can take different forms, but typical conditions involve a company agreeing to buy back shares, or otherwise compensate investors, if it fails to go public within a certain period or above a specified valuation. 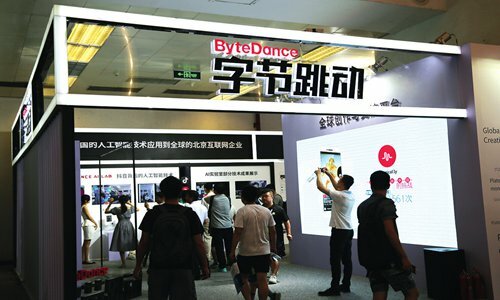 Beijing Bytedance is one example, according to sources. The company, which also owns popular short video streaming app TikTok, raised $3 billion at a $78 billion valuation late last year. But two sources say that at least some investment agreements for the deal included a pledge it would reach a value of at least $90 billion when it launches an IPO. Industry participants have cautioned however that the deals may not be enforced when it comes down to it, as for many late-stage investors, a down round via IPO is often a better option, despite the price, than being trapped in a still-private company. "A down-rounded IPO isn't good news but is more acceptable for investors because that at least offers an exit and creates market liquidity," said a senior private equity investor who focuses on tech investments. "Of the two evils, we choose the lesser."